Early Byzantine historians, including in particular Procopius, Agathias, Menander the Guardsman and Theophylact Simocatta, paint a picture of the Sasanian king of the kings Khusro I. Their reports often contain information for which they are our only source. 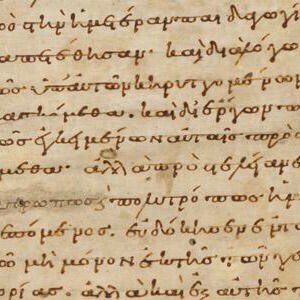 Greek text of the De gestis in Perside available here. French translation of the De gestis in Perside by Pauline BRINGEL available here. English translation of P. Bringel’s work by Andrew EASTBOURNE available here.